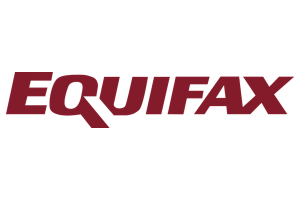 ST. LOUIS (September 23, 2015) –Equifax Workforce Solutions, a leader in human resource, analytics and verification services, and a business unit of Equifax Inc. (NYSE:EFX), today announced that it has achieved a new milestone in electronic Form I-9 management. The company has now processed more than 21 million forms for employers across the U.S. and has more than 1,000 active clients benefitting from its I-9 Management solution, providing these companies with an engaging and efficient approach to verifying the identities and work authorizations of their new employees. The value of the company’s automated I-9 Management solution is clear. In today’s ever-changing regulatory landscape, characterized by audits that are increasingly focused on paperwork and rising penalties, employers are under growing pressure to streamline the Form I-9 completion process, minimize the chance for error and create an engaging experience for onboarding new hires. Equifax Workforce Solutions I-9 Management was designed to help employers overcome common challenges, such as missing or incomplete forms due to onerous paper-based processes, by automating I-9 completion and enabling electronic filing. The solution integrates seamlessly with the E-Verify® system to automatically check the work authorization of new hires, helping employers confirm work eligibility more efficiently and cost effectively while concurrently helping employers meet their compliance goals. As the company reaches these significant milestones, it has helped employers avoid more than $15 billion in potential penalties, according to 2015 Equifax Transactional Data and Poyner Spruill LLP. At the same time, these clients can also save more than two million hours of administrative work by streamlining the onboarding process, thereby significantly improving the new hire employee experience. This historic milestone coincides with the tenth anniversary of Equifax Workforce Solutions launching its I-9 Management solution. This pioneering technology received rave reviews upon its release, having been designated by Human Resource Executive® Magazine as a Top HR Product of 2005. Ten years later, the company continues to introduce new capabilities to further improve the I-9 process for both employers and employees. For instance, Equifax Workforce Solutions recently unveiled its I-9 Anywhere solution, an industry-leading software package that facilitates how companies complete the I-9 process for a remote and dispersed workforce, including mobile capabilities. Additional information about Equifax Workforce Solutions I-9 management capabilities can be accessed at: https://www.equifaxworkforce.com/Solutions/Hiring/I9/.